BREAKING: Roy Moore Fondles Latest Exit Poll Poll accuses U.S. Senate candidate of improper contact steps away from voting booth. U.S. Senate candidate Roy Moore is accused of fondling latest voter exit poll. Moore has denied the allegations. Birmingham, AL – On Tuesday, U.S. Senate candidate Roy Moore allegedly fondled an exit poll minutes after exiting a voting station just out of Birmingham. According to sources, the fresh, young poll was approached by Moore right outside the courthouse when the improper conduct took place. 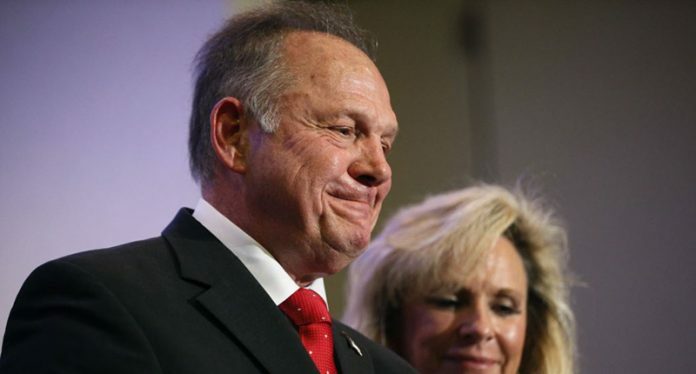 Moore vehemently denied the allegations. A source close to the Moore campaign cast doubt on the credibility of the polls. Meanwhile, Moore has been asked to keep clear of all sorts of polls.